How and Who are the Visitor of Tanah Lot Bali Indonesia? 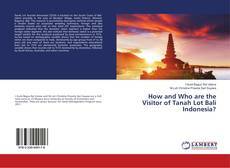 Bookcover of How and Who are the Visitor of Tanah Lot Bali Indonesia? Tanah Lot Tourism Attraction (TLTA) is located on the South Coast of Bali Island precisely in the area of Beraban Village, Kediri District, Tabanan Regency, Bali. This research is quantitative descriptive method which sample is chosen based on purposive sampling technique, foreign and also domestic tourists who visit at time total 337 respondents. 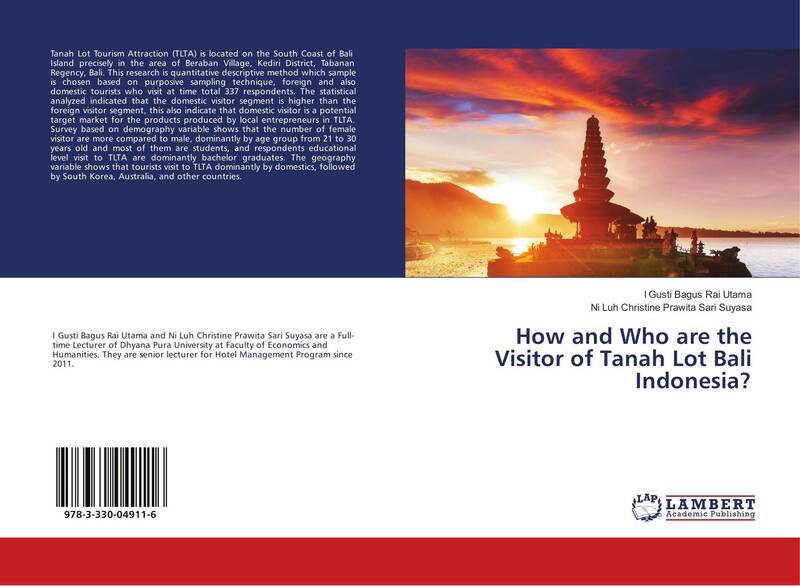 The statistical analyzed indicated that the domestic visitor segment is higher than the foreign visitor segment, this also indicate that domestic visitor is a potential target market for the products produced by local entrepreneurs in TLTA. Survey based on demography variable shows that the number of female visitor are more compared to male, dominantly by age group from 21 to 30 years old and most of them are students, and respondents educational level visit to TLTA are dominantly bachelor graduates. The geography variable shows that tourists visit to TLTA dominantly by domestics, followed by South Korea, Australia, and other countries.